Orders of Stop-loss should be put on the adverse side of channel consolidation on both sides. The Bollinger Bands is the best indicator that can assist to define the suitable market and the distribution of points for pending orders. If the schedule for the channel of consolidation has sloped even a little, then the Bollinger bands part. If the market calms down, then the Bollinger bands coincide. 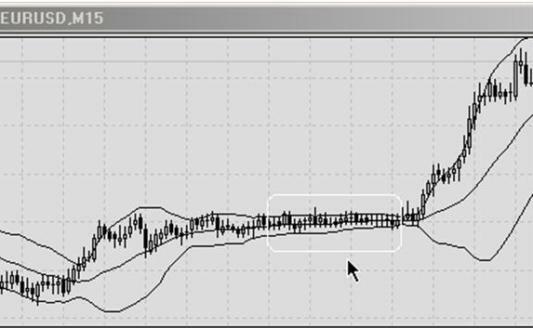 The ideal variant is when the Bollinger bands are parallel to each other. Sometimes it is difficult to define the ideal parallels of channels, but if one scrolls down the graph of price, they will see all possible areas for entering the market.